When it comes to gaming, there are quite a few interesting genres to match your mood at the moment and while some folks are into action packed games (as their go-to genre) – whenever they need to pass time – many others love adventure and there are those like me that will rather go the puzzle way. However, it’s no doubt that endless runners have won the hearts of many, as it easily keeps you engaged once you hit that start button. After some research, our team has found new and addicting runner adventure game with amazing colorful graphics, adorable game characters and hypnotizing sound effects. 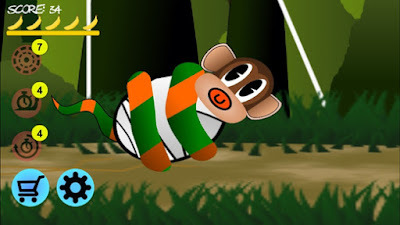 The Catchy Monkey game app it’s our recommendation for today and you can try by free downloading on App Store. 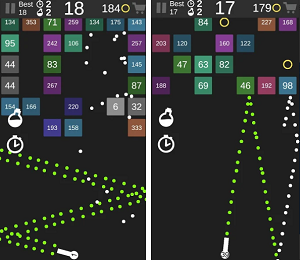 The game is perfect for beating the boredom and replacing it with some remarkable fun and game play that will cheer you up and make your day better. The excitement arises from the challenge to keep the baby asleep while you’ll run through the jungle, try to avoid the obstacles and helping the snake carry the young monkey out of the jungle. Use power-ups to make your life easier and give yourself an edge. This endless runner concept is to make more high scores by running extra-miles as possible and there is an option which you can share your new records through social media with your friends or challenge them to join in the mission to carry the baby monkey out of the jungle. As we say Catchy Monkey is free to download on App Store, so get it and make your free time enjoyable to the maximum. Check it on the link down below!